This package includes 50 high resolution light rays as both images and photoshop brushes. These are excellent for giving your images that volumetric feel of light shining through the air, whether in a composite, landscape or potrait. The best way to use these is to add them as a layer in your image with the “screen” blending mode or to use them as Photoshop brushes on a new layer. Light shining through a window, shining through smoke, through threes, top down, from the side—you can find all of them in this pack! It is hard to describe just how fun these brushes are! You simply have to start painting with them and then, voila! - you'll be transported to a world of brilliant color and expressive brush strokes from one of the most beloved movements in art history - French Impressionism! The 19 brushes in this set are modeled on the marks made by some of my favorite artists, such as Monet, Seurat, Cézanne, Van Gogh, and Pissarro. Paint with total control over the effects by adjusting your stylus pressure, tilt and direction. Use lighter pressure to reveal a touch of the canvas, as your bristles graze the surface! BONUS: 5 wonderful Impressionist Blenders are also included in this set for FREE! 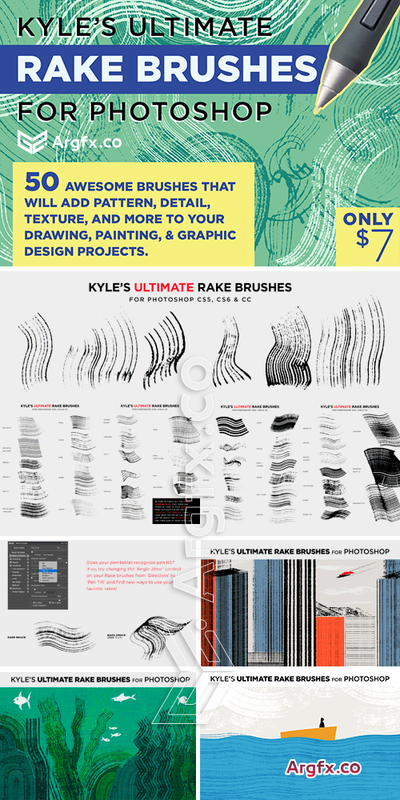 CM 919689 - Kyle's Rake Brushes for Photoshop! 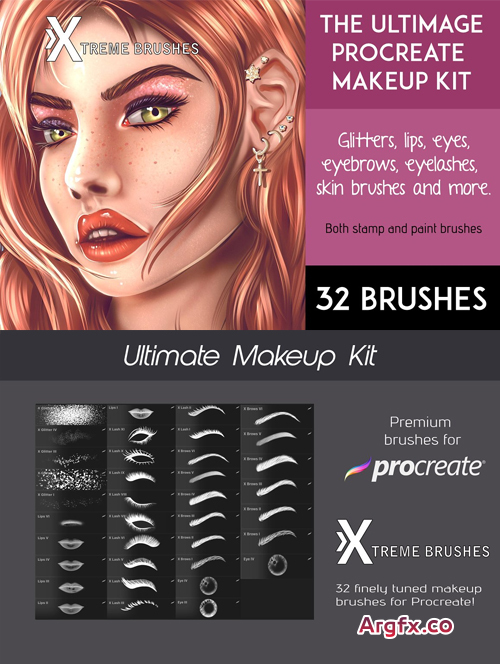 Created by popular demand, this new set of 50 brushes (Bonus Mixer Brushes included!) has been crafted with love and care to provide you with the means to add unique textures, details, patterns, and energy to your illustrations and designs. This set provides all the options you need, in terms of different rake effects: fine, sparse, faint, super bold, thin, thick, textured, gritty, random, and more. Each brush is large enough to cover a lot of surface, but can easily be sized down for smaller projects. Different brushes react to pen pressure, tilt, and direction to create a variety of interesting marks. There are so many ways this special collection of brushes can enhance your artwork! Like all of my brushes, this set has been thoroughly beta tested by some of the best professionals in the illustration world, working at Disney, Marvel, and Google, to name a few, and it meets my highest standards. PHOTOSHOP CS5 or higher is required.